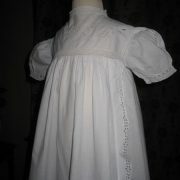 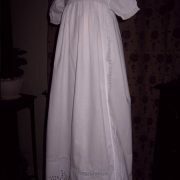 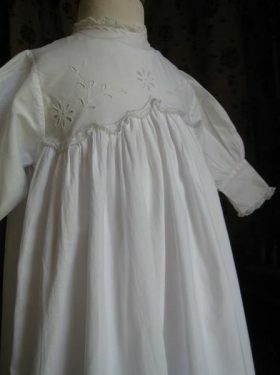 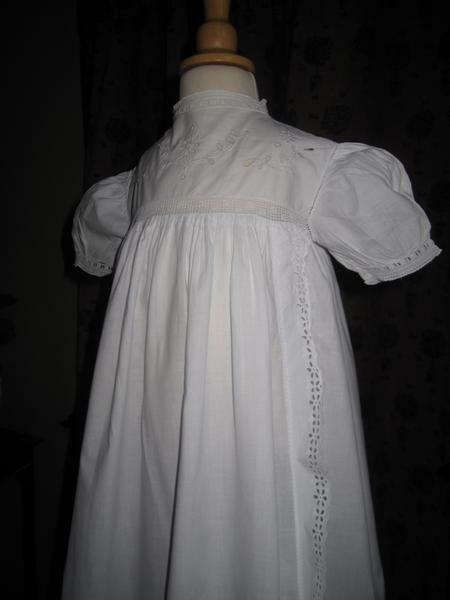 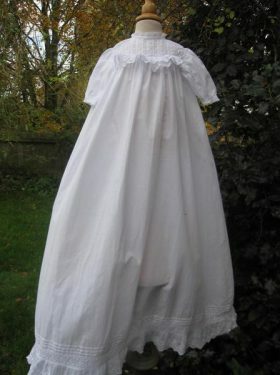 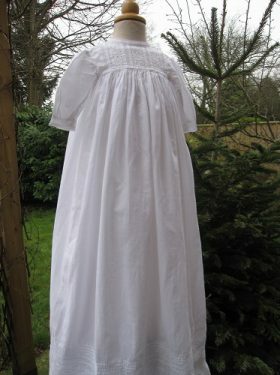 If you are looking for a vintage gown with that little bit of something extra then maybe the Daisy Christening Gown is for you. 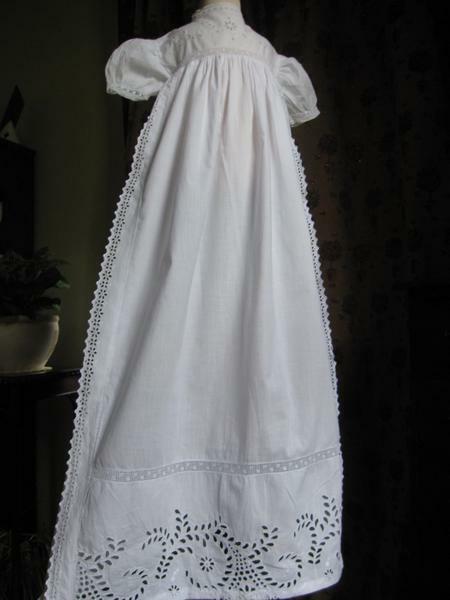 Late Edwardian in style this lovely fresh gown features some gorgeous elements. 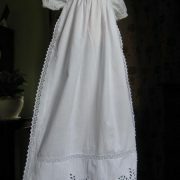 The high yoke is decorated in delicate hand embroidered daisies giving a wonderful fresh feel. 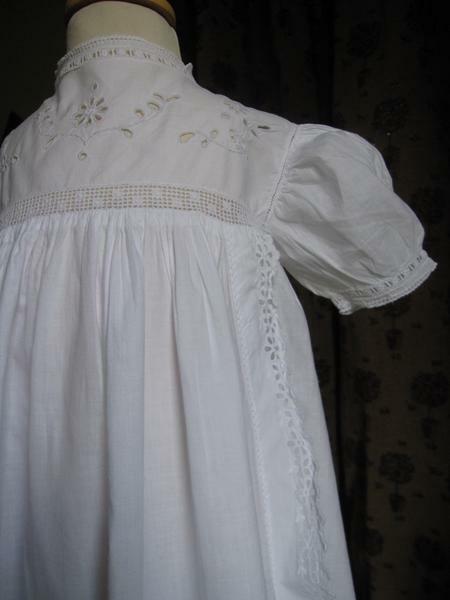 The neck and short sleeves are both decorated with insert lace and narrow lace trim. 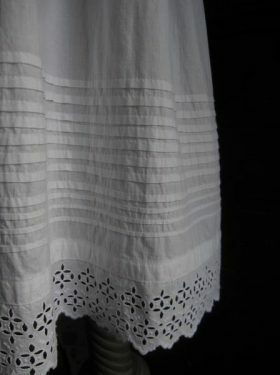 The skirt and yoke join with a lovely open cutwork lace band that is truly beautiful. 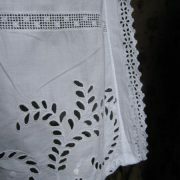 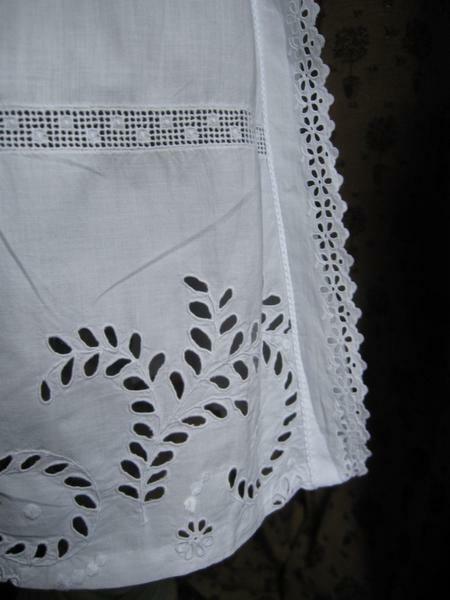 The long skirt has a lovely front panel that is trimmed with narrow lace robings. 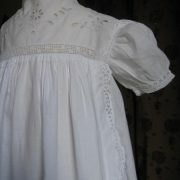 And finally, beautiful hand embroidery finishes the panel off to give a fresh and pretty gown. 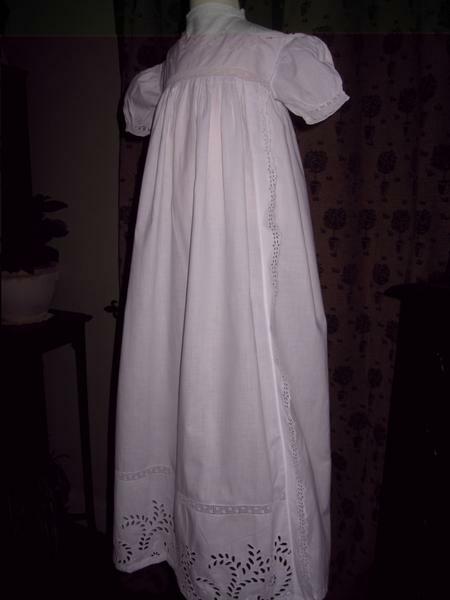 A more modern antique gown with wonderful elements of finery.